But before we begin, we must understand a little bit about the previous generations of wireless systems. So, let’s get started. In today’s civilization, we depend a lot on electronic devices to fulfill our day-to-day tasks. But is it just the device that we are dependent on? Not really. It won’t be unfair to say that these gadgets are more or less useless without the internet. It is the fuel for these devices like gasoline is for cars. To make adequate use of these electronic tools, we need fast and reliable wireless data connections. Over the last few decades, electronic and communication giants are working hard to achieve this feat. From 0G to 5G – how did we get here? 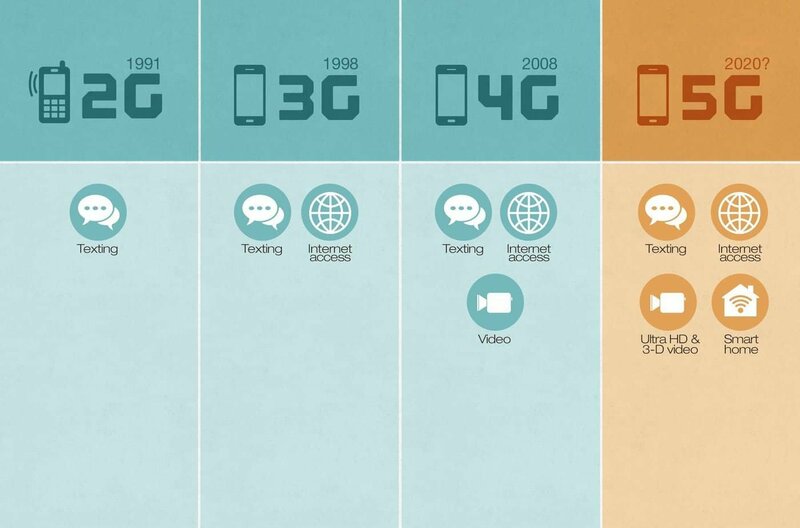 To understand the progress we have made in the feel of mobile networks, we must briefly look at the history of mobile network standards over the years. 0G – Launched in 1946; It was the first ever network standard which was used for communication through radio-telephones. 1G – Launched in 1979; It was the first-generation cellular network. It followed analog communication standards. 2G – Launched in 1991; It is the second-generation cellular network standard. It is the first standard with digital encryption. Data services for mobile phones. Finally, we got internet on our phones (unfortunately, the speed was just 40kbps). 3G – Launched in 2001; It is the third-generation wireless telecommunication standard. It improved the rate of internet connectivity on mobile devices (data speed increased to 21Mbps). 4G – Launched around 2010; It is the fourth and currently prevalent generation of the mobile communication standard. Hereafter, data speeds of 100 Mbps are possible on your phones! 5G – It will launch in 2020; Its the fifth generation, providing excellent solutions to all the problems faced with 4G standards, like traffic, connectivity, coverage, and more. Data speed is expected to be a mountainous 20 Gbps! 5G is a revolutionary development; it will take wireless connectivity to a level which is a hundred times better than the best technology available today. 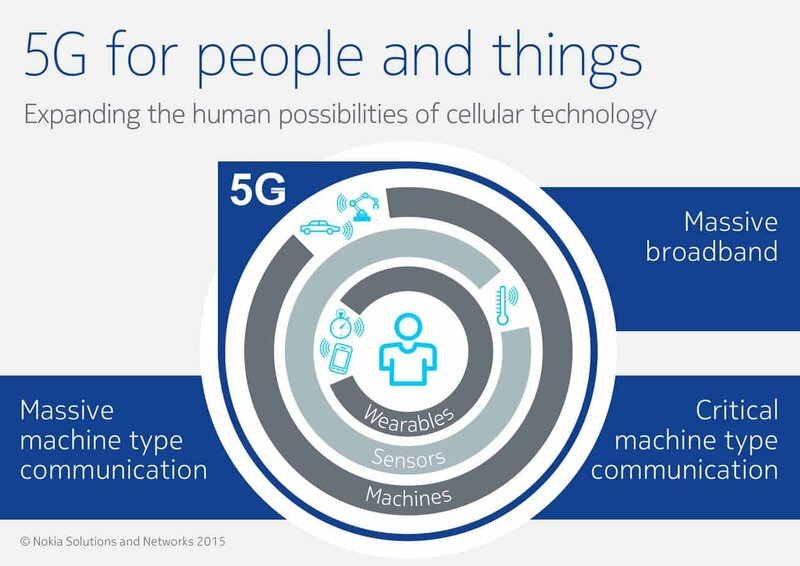 It is expected that 5G wireless technology will interconnect people, interconnect and control machines, devices, and objects. Due to its superfast connectivity, it will be possible to use 5G devices for mission-critical communications as well as for Internet of Things or IoT. You will read more about this a bit later in this article. So, hold your horses for now. It is a network which supports interconnection of devices, objects, mobiles, and more using 5G standards specified by ITU IMT-2020 and 3GPP Release 15. Boring, right? Please don’t worry; we won’t get into any technical details here. However, we will discuss the cellular networks that are about to launch 5G technology. However, AT&T, Sprint, and Dish Networks are undecided on the exact dates. Nonetheless, we may get access to 5G mobile communications by the end of this year. Isn’t that be awesome? Apart from giving exceptional mobile broadband experience regarding speed, 5G will also solve issues like traffic congestion. It will deliver a hundred times increase in capacity of traffic as well as efficiency. Therefore, it can handle 100 times more active users. It will have an end-to-end latency of merely 1ms, which is ten times lesser when compared to 4G LTE. Therefore, it will deliver a better real-time and instantaneous communication experience. It is also expected that 5G mobile broadband will be cost effective. So, as a consumer, you can continue to enjoy unlimited data packages offered by your cellular operator. With the current standards of 4G LTE, it is possible to download a Full-HD movie in roughly 15 minutes. With 5G wireless broadband, it will be possible to download the same video in about 3 seconds! Unbelievable, isn’t it? Activities like video calling, VoIP, and video streaming, will happen in real-time due to the ten-fold reduction in end-to-end latency. All this and a lot more is in store for the mobile internet users in the days to come. 5G wireless internet service aims at reducing the costs associated with interconnecting devices for automation. Lower data rates, as well as power consumption, will play a substantial role in giving us a much more affordable IoT experience. IoT enthusiasts will benefit massively from the seamless connectivity offered by the 5G network. Real-time transfer of information between interconnected gadgets and sensors will increase productivity in this field. To be adapted for industrial use, a network should be extremely reliable, robust, and super fast with the capability to exchange information in real-time. 5G network satisfies all these criteria, and therefore, it is the best choice for such requirements. 5G is good enough for critical tasks like medical procedures, remote control of drones or cars, and development of smart cities and smart homes. 5G wireless technology is forward compatible; it is ready to support services which don’t exist as of now. Therefore, we expect to see a lot of applications of 5G in future. Even though most cellular networks have started testing and launching trials for the 5G mobile network, it is far from being ready for consumers. Therefore, It is very likely that most of us will have to wait another couple of years to experience it. However, going by the trend, the day is not far when we will look back at 5G and say, “And we thought things couldn’t get better than that.”. If you are enthusiastic about the development of 5G technology, be sure to keep an eye out for our upcoming blogs.